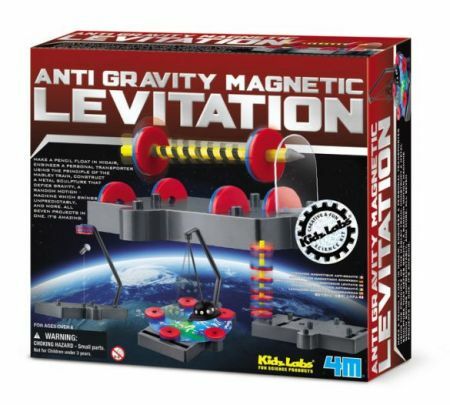 Learn how magnets can create levitation with seven experiments in this fun kit. Make a pencil float in midair, engineer a personal transporter using the principle of the maglev train, construct a metal sculpture that defies gravity, build magnetic spring, weight and compass, plus make a random motion machine which swings unpredictably. For Ages 8 - 14.